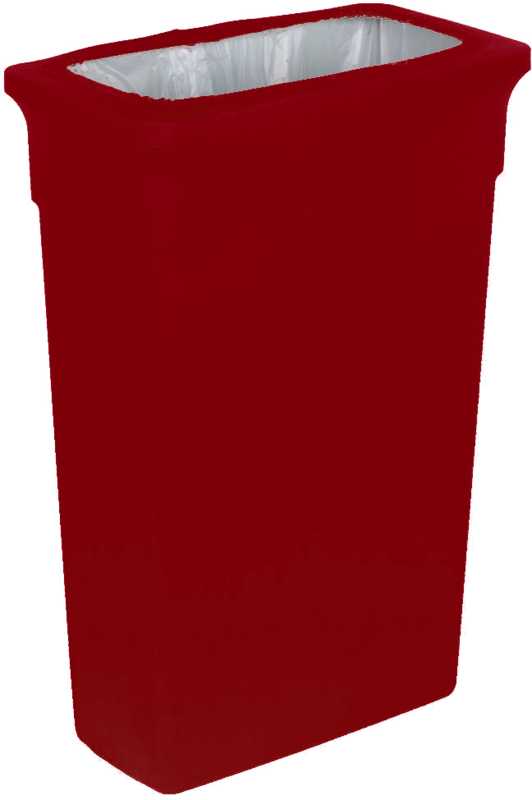 Spandex is a versatile medium and we are the experts! 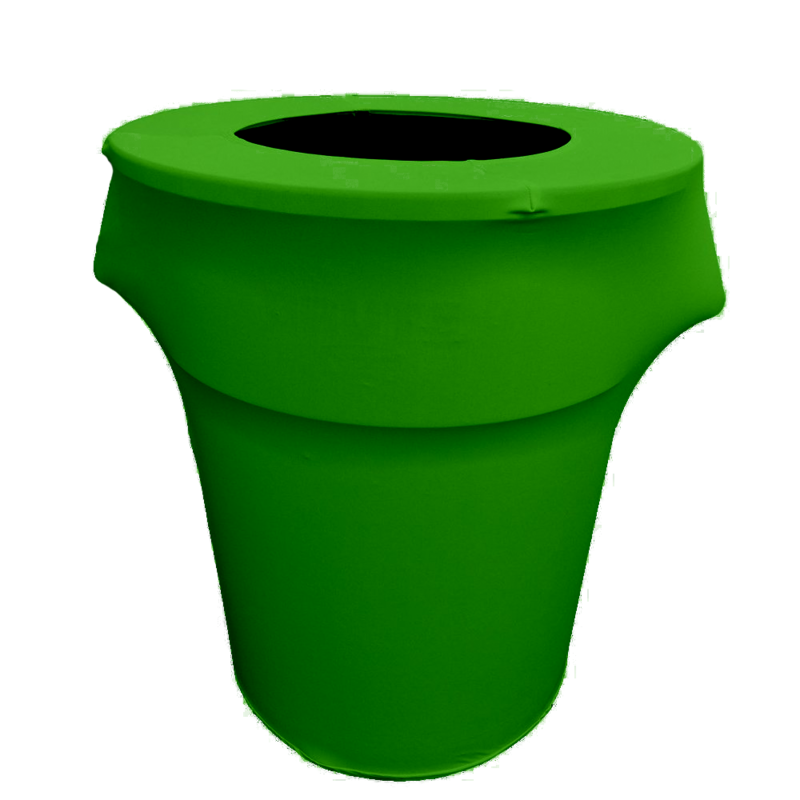 We are a custom house and can create a custom commercial grade cover and look just for you in any size and any color! We can print your brand on all of our spandex products. We offer a 2 year warranty on pockets and seams! We ship directly from our warehouse in Dallas, Texas! 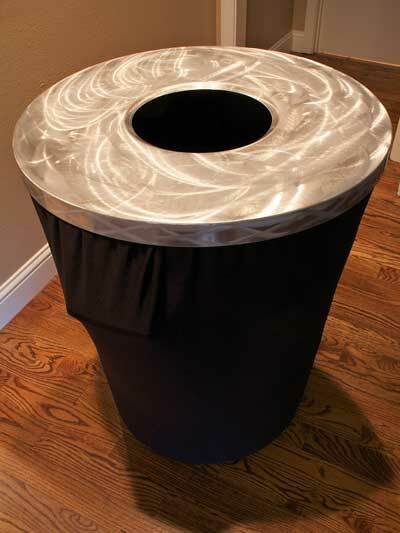 Spandex trash can covers and aluminum toppers create an elegant look for a less than elegant requirement for any event. 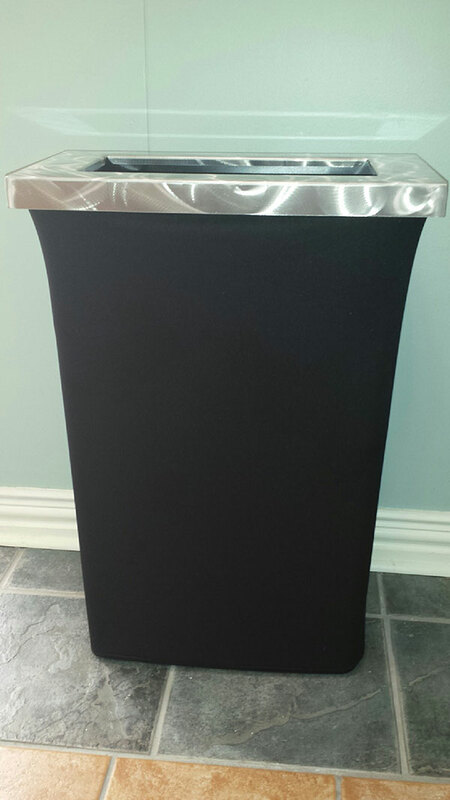 We carry 28 colors of spandex covers and copper, silver and gold aluminum toppers for 55, 32 and 23 gallon trash cans! Amazing prices! All of our spandex comes with a 2 year warranty on pockets and seams. 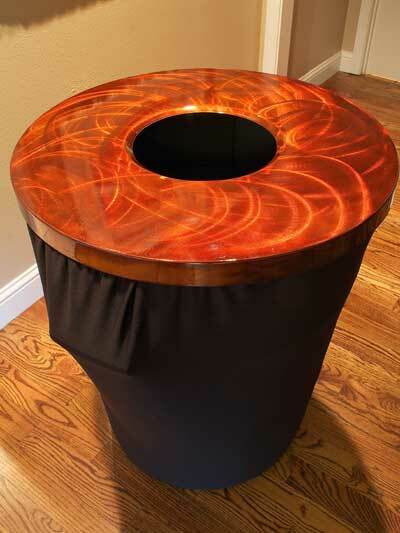 Custom Logos are available on spandex chair bands, chair caps, table toppers and buffet table covers. Let us help you with your events!